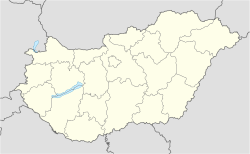 Deszk [ˈdɛsk] (Serbian: Деска / Deska) is a village near the city of Szeged, in county Csongrád, in Hungary. Deszk has a historically important Serb minority that consisted 4.9% of the whole population in 2001. The name of the village was first mentioned in 1490.